If it’s called a “martini”, it should consist of (stirred) gin, vermouth, and maybe a twist of lemon, a dash of orange bitters, or three olives floating around the bottom of a three-ounce glass. Anything else is just a cocktail—or, worse, a big glass of gin (or worse still, a big glass of vodka, the horror!). There’s a tiki bar in our wooded backyard (though I’d half-prefer chickens or meat rabbits), a shaggy senior collie alternately pouting and grumbling at my feet, a tabby who thinks he’s a genius lying tummy-up on the rug, and a very, very fluffy tortie hunting birds from the back of the sofa. Sometimes, mostly on weekends, there’s also a husband tracking mud, small twigs, or sawdust all over the floor, though I’ll confess to finding sweeping & vacuuming rather calming. Occasionally something a bit odd is percolating away in the kitchen. Can you blame me for being so particular about martinis? A former analyst, advertising agency refugee, and eternal history book/butter/TCM addict who does not do portraiture (particularly of herself, thank you), I’ve long seen the world from behind the lens of a camera thanks to Dad. He never knew he was creating a victory roll, circle skirt-wearing monster who’d go traipsing across America, photographing classic cars (hello, Detroit! 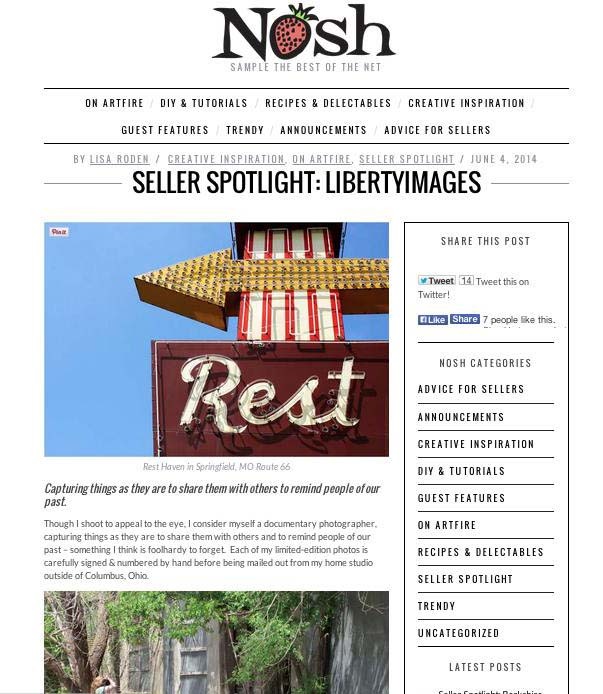 ), Route 66, and historic homes. He probably thought I’d run some big business, scaring my employees into strict obedience and high production. Didn’t quite happen. The only scaring happens when the wind flips my skirt up when I’m lying on the ground shooting a car to reveal…petticoats! Eeeeeee! Well, at least he got the love for my country (I’m a Reagan baby) and for Red Wings hockey to “set” right. I brake for Jadeite, Fire-King, Pyrex ‘Friendship’, 1940s and 50s sewing patterns, and all sorts of other useful vintage things. People like to give me books and canning supplies. I’m still waiting for someone to give me a horse for my birthday, though. Some dreams never die. We’ll say nothing about my life-long crush on George Washington. He’s mine, ladies. Hands OFF. That’s me, the shutterbug in a petticoat! Becoming a photographer was not my plan, but apparently it was God’s. For better or for worse, I was struck with an illness while still in college that progressed (regressed?) to the point that means working outside the home is no longer an option for me. The illness even stole one of my greatest joys, the ability to sing; there’s a box of trophies in the basement, but I’m not sure I’ll bring joy to people through singing any longer. Getting adequate air into my lungs is too difficult at times. But it could be worse (and I do still sing, just not competitively or at weddings anymore)! Moreover, years of serious Bible study have led me to understand that being a worker at home, as Scripture says, really is best for women and their husbands in so many ways. God has granted me great joy and—perhaps more importantly—contentment in being busy as a bee at home. I am very blessed to have a husband who understands and agrees with all of this, and in fact is happy to have a photographer wife working from home. That there are often brownies or Elvis muffins and nearly always a home-cooked meal waiting for him when he gets in probably doesn’t hurt. I rock out that way. Singing along with Ella and Frank and Sarah while whipping up a meal is the way to get it done! Around here, I like to write about photography, my fellow artists and small business owners, road trips, historic preservation (particularly of retro Americana from the 1940s and 50s), and my general love for history and our past. You might occasionally read about some of my vintage and thrift scores (or failures) or the veggie garden, too. With the recent shift in the focus of my blog, the scope will broaden, but we’ll see how it goes. Where is this crazy woman from? I grew up in the Detroit area, then moved to Pittsburgh with my husband after we married; then it was off to West Virginia and now central Ohio. We both adore West Virgina and loved the darling vintage 1951 Cape Cod-ish home we owned there, and miss both dearly. Our move to Ohio—Hubby’s home state—came about with a sudden but good new job offer one summer. We recently moved into a little house on acreage full of woods and many, many bramblebushes which bear delicious berries, so there’s no complaining. I occasionally photograph recently-finished homes for the builder that built our new home, with Hubby serving as bodyguard (which mostly means “man who makes sure Jen does not walk off a porch/into a wall because she’s so busy shooting”). When I’m not working on my photography, I’m usually playing happy scientist in the kitchen, garden, sewing room, or reading a good book. 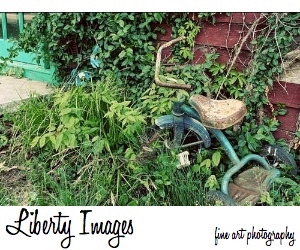 You can contact me via my shop, Liberty Images, or email—or, of course, by leaving a comment here on the blog. If you see one of my photographs here on the blog that’s not listed in the shop that you’re interested in adding to your home or office, absolutely send me an email—there’s only so much inventory my studio has room to maintain, but special orders are simple enough and cost you absolutely nothing extra. Thanks for the “likes” on my blog. What a fascinating “about” page. You’re a great writer with a delightful sense of humour. Glad to have spotted you in the comments section on Boomdeeadda. She always follows the cool blogs. Hi Jen, I just wanted to say hi and let you know that I really like your photography at ArtFire. My husband is also a photographer, so he’s taught me to appreciate fine creative photography ….like YOURS! I think you have a great eye and also sense of color. Your bio is very interesting, as I think also must be. Wonderful, creative, appealing and playful writing style, too. I share your love of vintage and nostalgia…..and also the health issues that keep us close to home. You have a great attitude. Wishing you a rainbow colored day. Hello Anita, thank you (both)! I will have to check out your blog and shop (which sounds very familiar to me, so perhaps I’ve browsed through on occasion). Thank you again, and have a wonderful weekend!